We are the topmost organization in the field of providing Ultrasonic Bag Sealing Machine to the clients. At par with these set industry parameters, these machines are used for sealing non woven bags in the best possible manner using quality material. Uniquely formulated at our state of the art center, these bag sealing machines are equipped with high precision machined components which ensure their trouble free performance over long period of time. Our business entity, VBRPE Traders is situated at Vidhyalayam, Tiruppur, Tamil Nadu, India. It came into existence in the year 2006 as a sole proprietorship concern. It has since remained into business as a prominent and leading manufacturer, exporter and supplier of vast range of products comprising of Non-Woven Bags made of quality fabric having long lasting performance,having dimensional accuracy with striking designs and are highly spacious with durable finish, Eco-friendly, in various shapes and sizes, are strong and durable, light in weight and having excellent finish. All the bags are easy to use having liquid resistivity. Paper Cups that are Eco-friendly and widely demanded, Sealing Machines, Printing Machines, U Cut Machines, Paper Cups Making Machines, Non-Woven Bag Making Machines, Hydraulic Punching Machines and more. 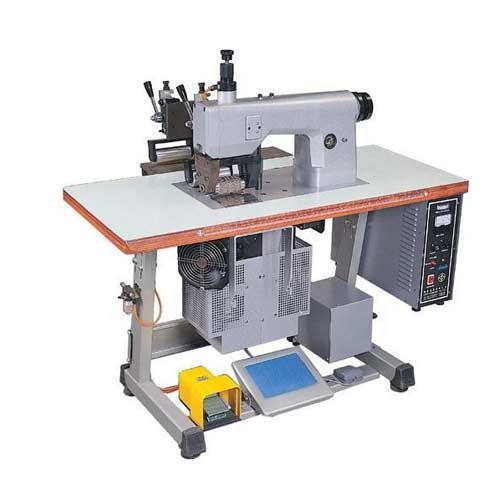 The various machines are energy efficient having robustness, durability and high performances with low noise of operation, long service life, zero-error accuracy. The excellent quality of products is widely acclaimed to be the best by our clients since the last 8 years of our market existence.Under the entrepreneurship command and abilities of Mr. U. Sathish Kumar (Managing Director) and the management marked progress has been made by the firm.